The next batch of series 3 figures with running changes to the assortment. 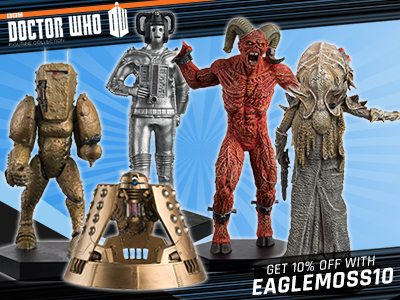 A great gift for fans of any age, these highly detailed, realistic and poseable action figures include some iconic characters from the hit TV show Doctor Who. 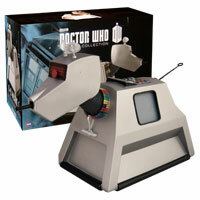 Yay, just ordered Amy, Ten and the Dalek from FPI.co.uk. Because they’re only £5.99 for some reason ( ❓ ), with postage too, the order only game to around £21, which is a good price. Does the Mutant Scoop Dalek still have the 1973 ring eye? 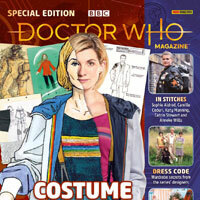 has southampton trus or fp got the mutant scoop dalek and blue suit 10th overcoat in anyone? 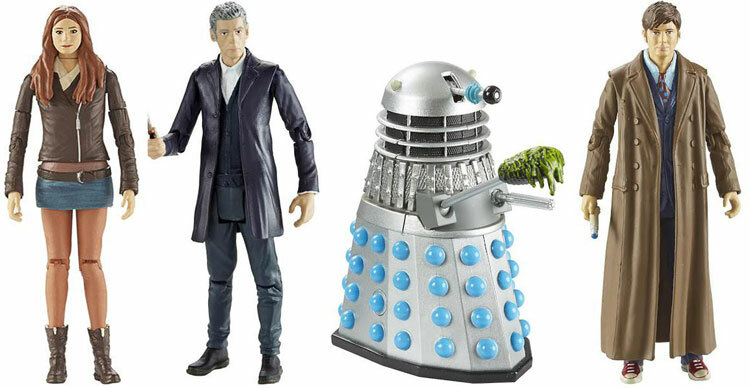 I went Forbidden Planet the other day and they were selling the Capaldi figure right next to the older one and they were the exact same figure. No change to the headsculpt and no change to the body. The only difference was that on this new one, the package said it was from Series 8 while the first release said it was an articulated figure. Toys R Us in Stockport had loads of Amy in brown Jacket/ 10 in blue suit & long coat/ mutant scoop dalek on Monday this week (Dec 1st) as well as 12 with new figures showing on the back of the pack. wish my trus had them? why ain’t these on fp to buy yet? Are any stores actually known to have these? I just ordered the Green coated 11 and Day supreme because I started getting worried they weren’t coming to the UK, is it worth ordering these if general store release seems a little sporadic? I think it’s from power of the daleks or daleks master plan ? Toyrus have restocked but couldn’t find the new variants, just the original Amy, Genesis Dalek etc. What the heck, CO? I caved in and bought the scoop Dalek online. The other three figures are basically rehashes of what was released in Wave 2 but with slightly different paint. How original! 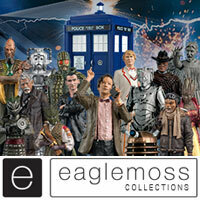 They could have released some really good figures like Missy etc:-S I think I’ll pass on them lol. 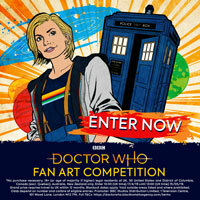 HE’S now charging £25 for the dalek! Just a bit of advice for everyone after these figures, don’t pay extortionate online prices as I have seen them in a shop today for £6.99. 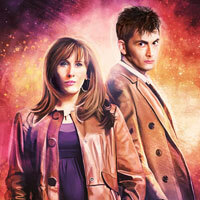 They had 3x scoop daleks, 3x brown jacket Amy and 1x blue suit 10th doctor. Better check my local one then!!! It’s in Derby, I’m thinking of going back to pick up a Dalek later. 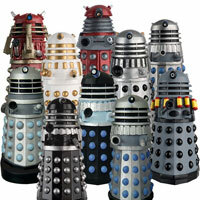 I wish they would include an alternate army with the classic Dalek. I will buy one or two, but would buy an army if they had regular arms. 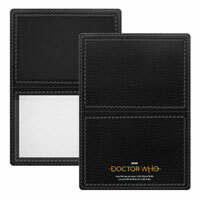 Does the Capaldi figure have the red lining? Because if not then it’s a bit of a pointless. Well that makes it pointless then. The one thing that the first figure lacked and here was their chance to fix it and they just re-release the same figure without adding any alterations. Awesome! Do you know when its gonna be realesed booboo? I see they are going mad for re-paints. Isn’t this what killed the 5 inch line? 3.75 inch is for the kids, not for collectors. What’s up with Amy’s legs?! It looks like she got a dodgy spray tan! She’s wearing tights. Either her pink ones from ‘Curse Of The Black Spot’ or more likely her orange ones from ‘Let’s Kill Hitler’. It’s definately her God Complex outfit, but with LKH tights! 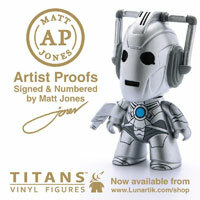 BooBoo, based on past experience, do I think I’m right in thinking that if I hold fire, these will eventually be available from the BBC Shop for a mere £6.99….or do you think these are a limited release and we should get them while they are still selling for reasonable prices? But what happens if they don’t come out :(? its called making money do you seriously think co won’t release these standard figures? they want cash they will be realised its just when? they have been released – it just a question of who ordered them or who they were offered to, or more to point are websites not putting them up because there are no images, many big companies use a 3rd party to update their websites so as these are running changes they may not even aware of them, this is all one big wave 3 at the moment. We’re getting a Skovox Blitzer in December. I’d love to get a 3.75″ Mummy on the orient express set. With 12th Doctor (Tux), Clara (1920’s dress), Perkins, and Foretold with flag. 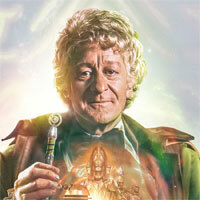 I can’t find the 12th Dr. anywhere in U.S.A .Can anyone help please!!!!! Have you tried toys r us in America? I heard they had a good selection of Dr Who stuff. They look alright but they would be much better in 5inch. Sorry, I have been keeping on about 5 inch figures. It’s just I prefer 5 inch because they are detailed and good for the collection. No need to apologize Joe, cos your absolutely right, the detailing on the 5inch figures are far better then what you get with a 3.75 inch figure. Amen; Everyone agrees with you!